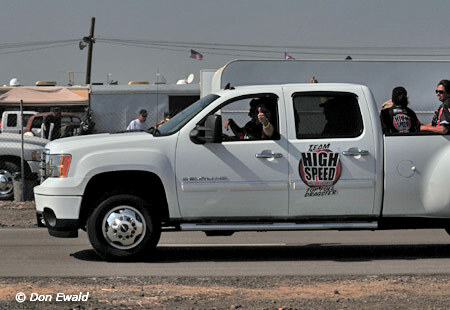 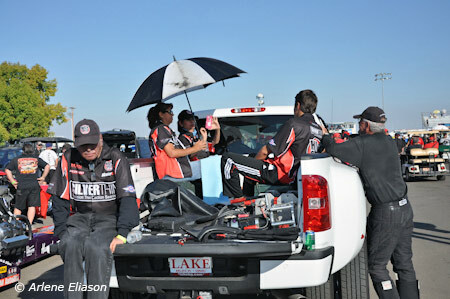 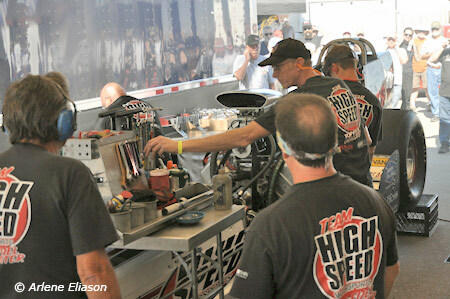 As for the High Speed Motorsports team the weekend was a mixed bag of good and bad. 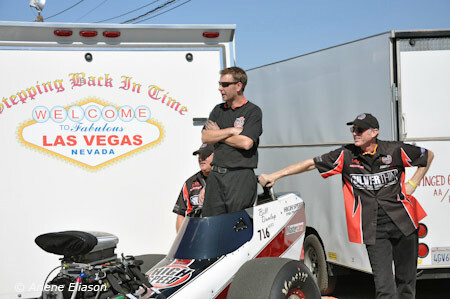 Sneaking up on a 5.7 tune-up, Tom Shelar and Sean Bellemeur had the car running like a clock during qualifying and had high hopes of going some rounds in eliminations. 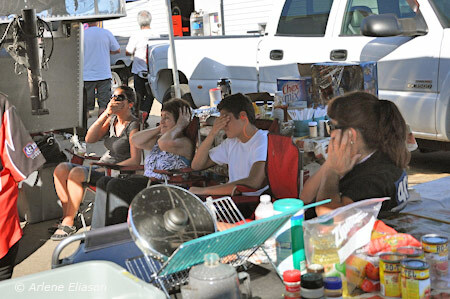 Once again, bad luck struck again. 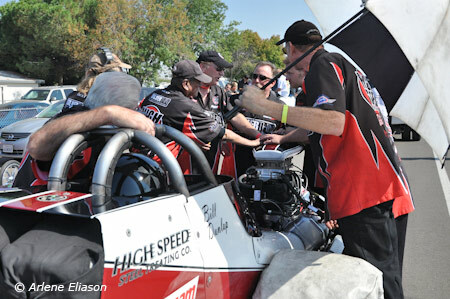 A mistake was made that costs them a round one win ... a mistake that won't happen again. 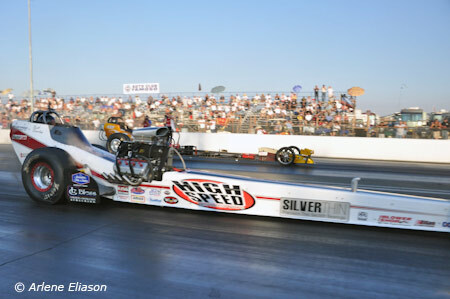 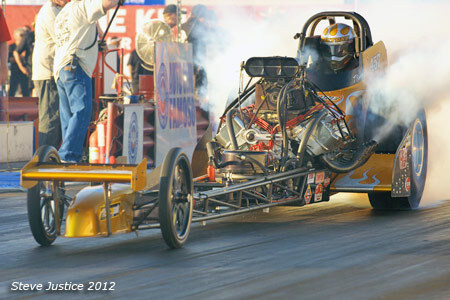 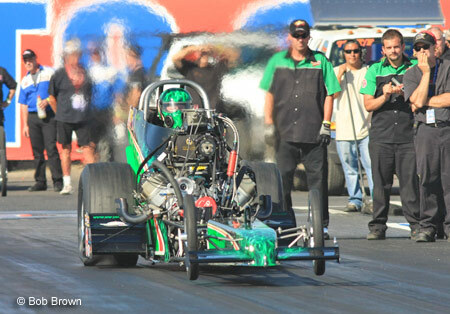 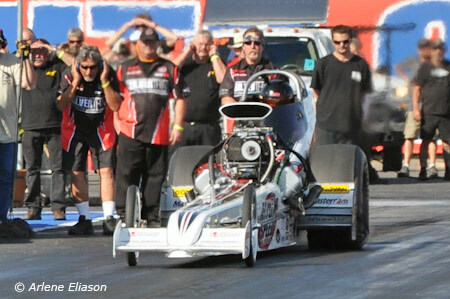 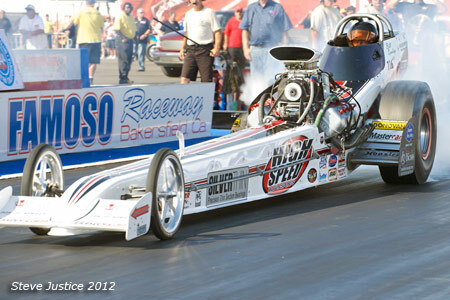 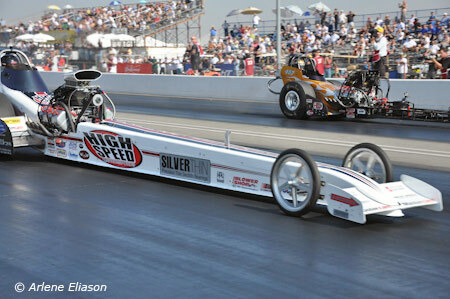 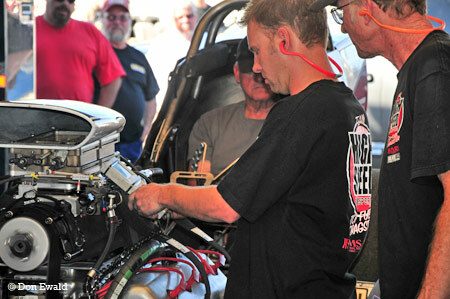 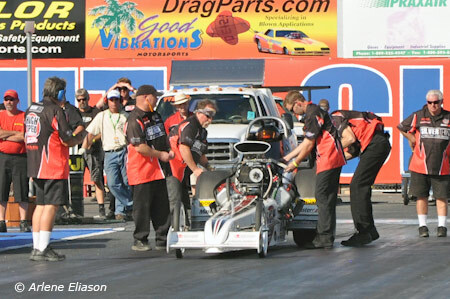 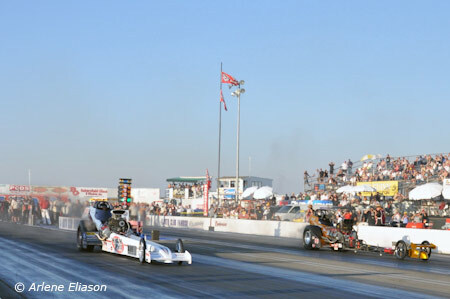 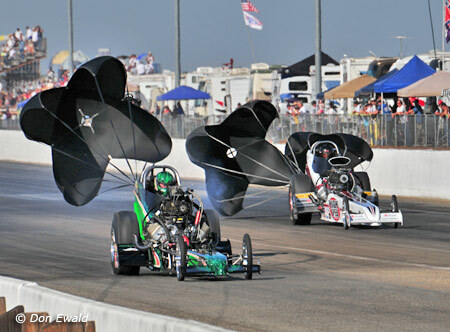 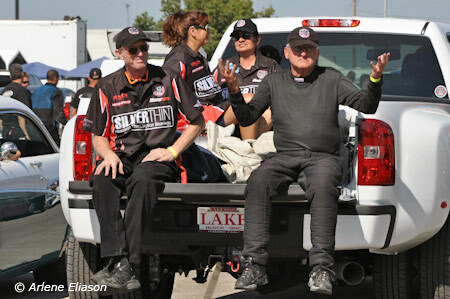 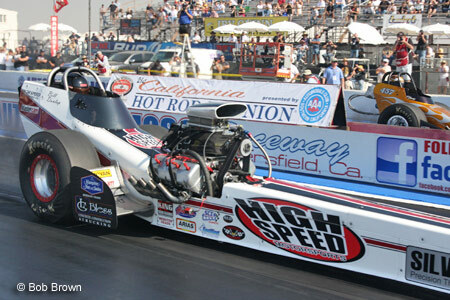 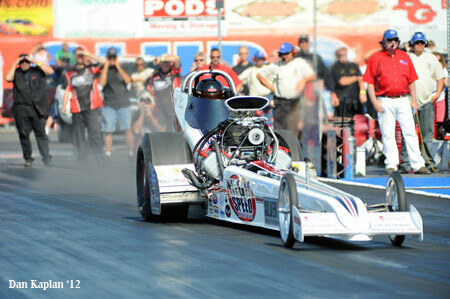 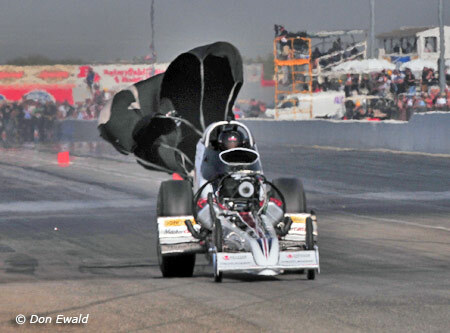 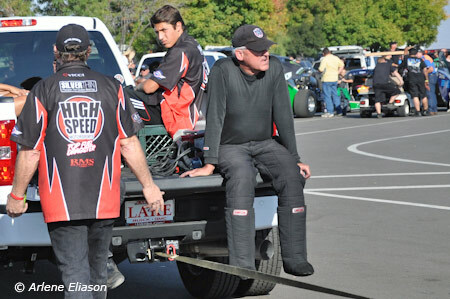 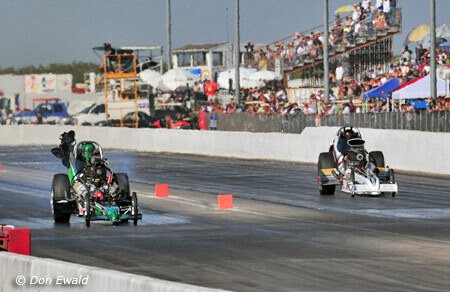 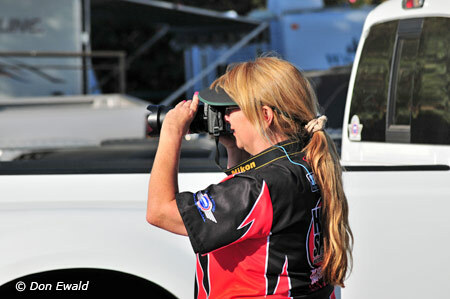 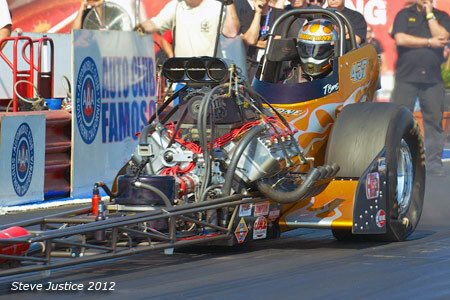 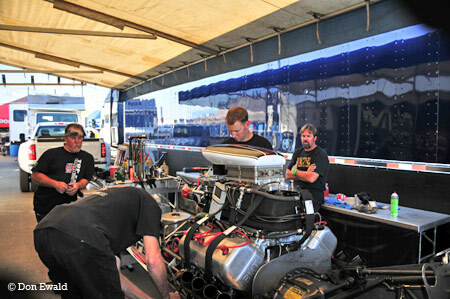 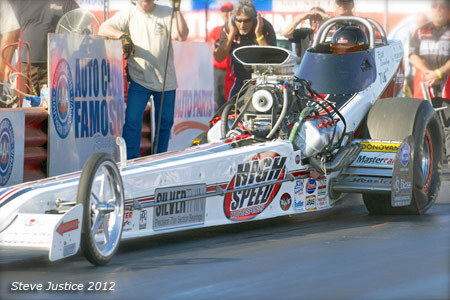 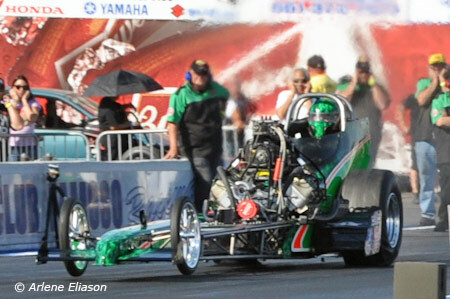 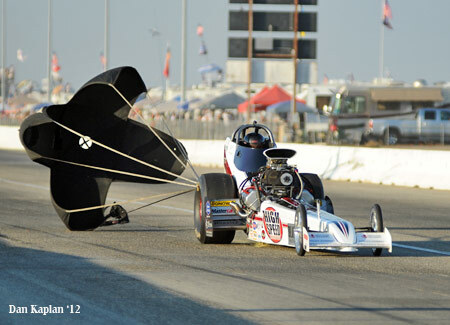 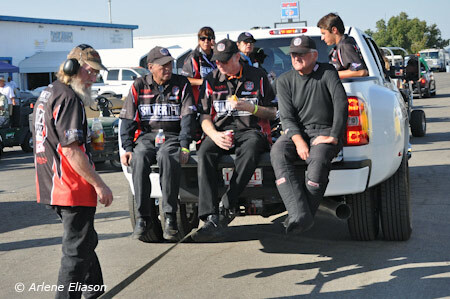 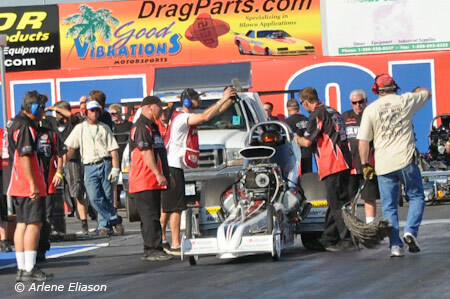 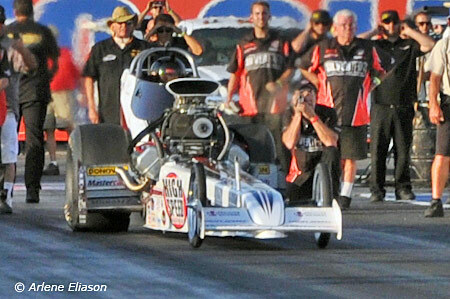 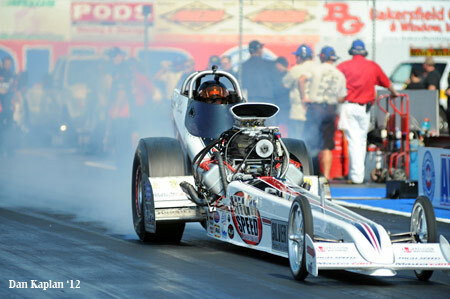 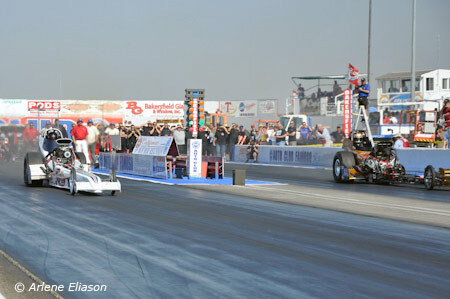 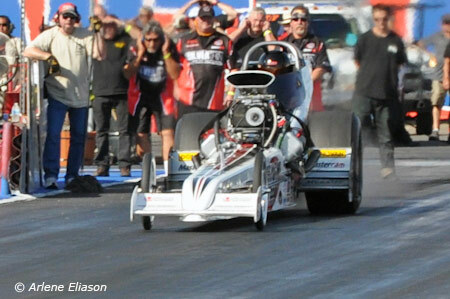 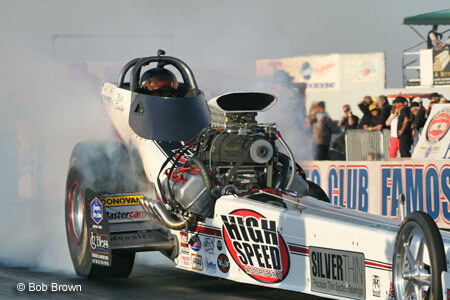 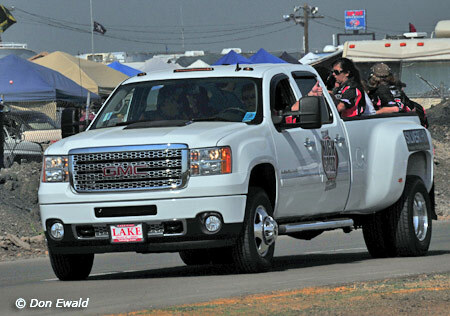 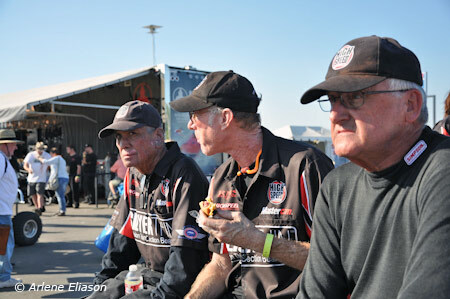 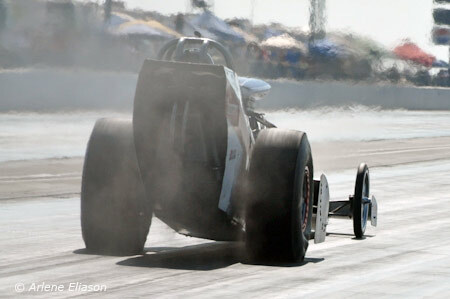 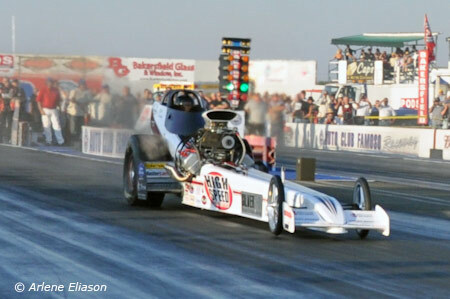 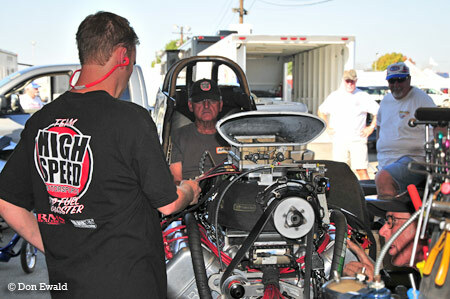 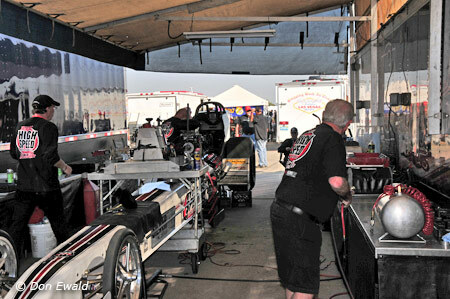 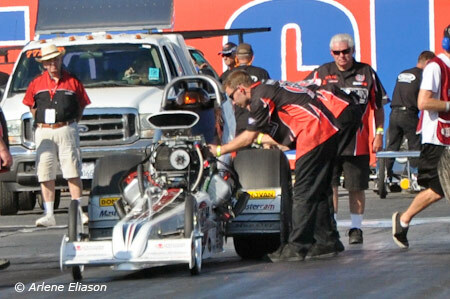 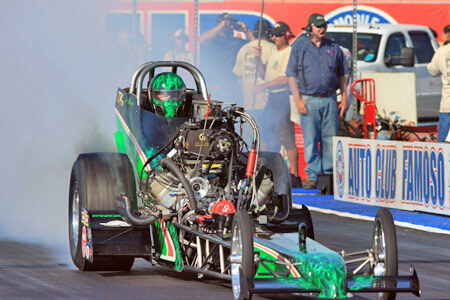 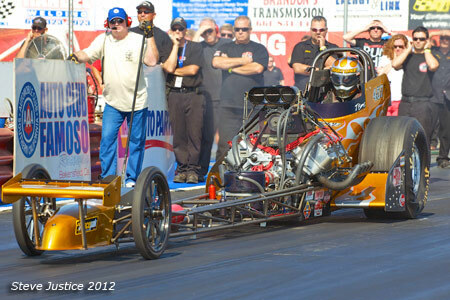 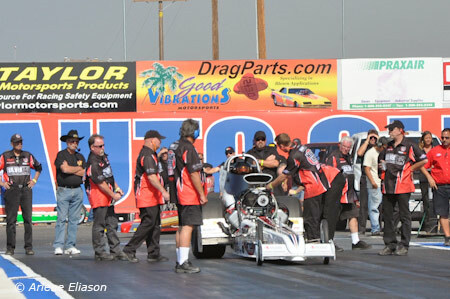 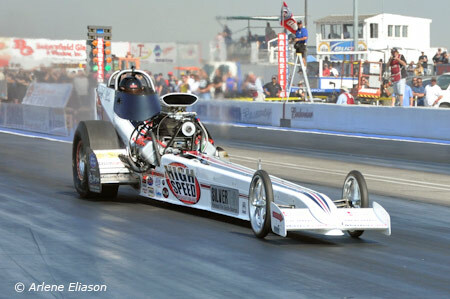 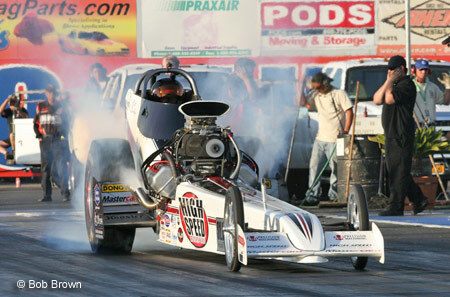 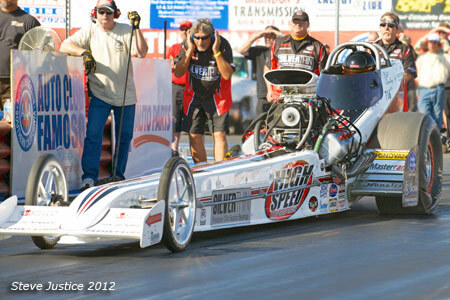 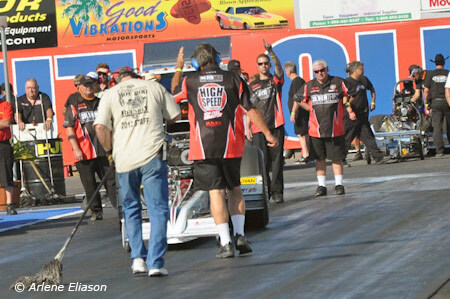 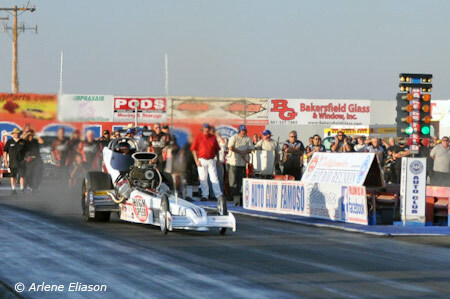 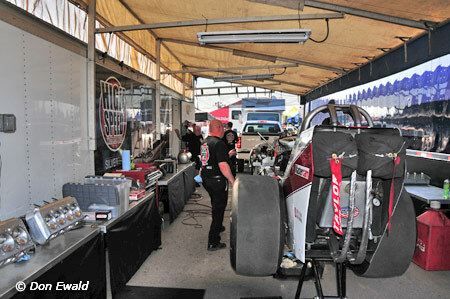 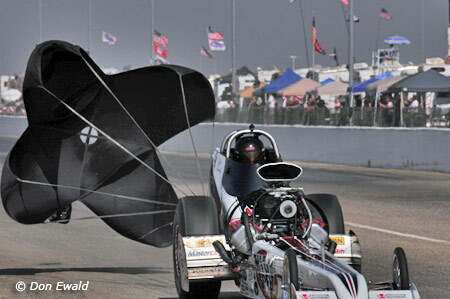 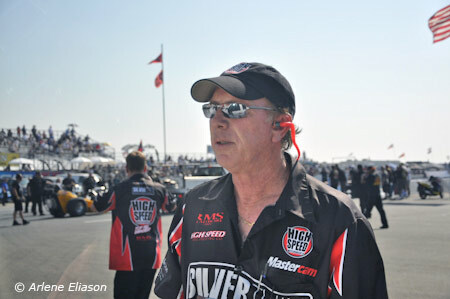 2013 will see more oversight of the engine and car prior to any appearance on a drag strip. 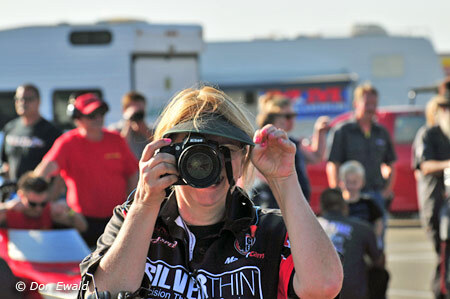 All that aside, here is the teams weekend in photos, enjoy. 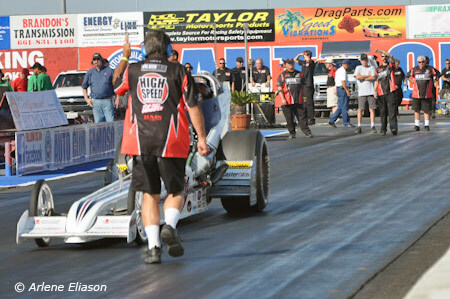 Unlike the March Meet, the CHRR is only three days and offers only two qualifying sessions. 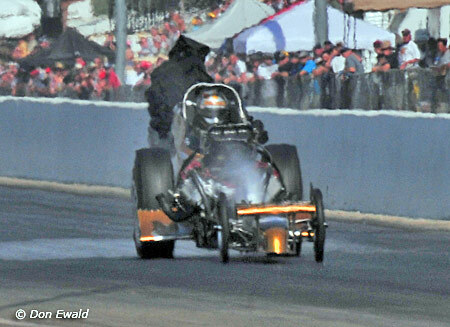 Thus no one could afford to throw away a run. 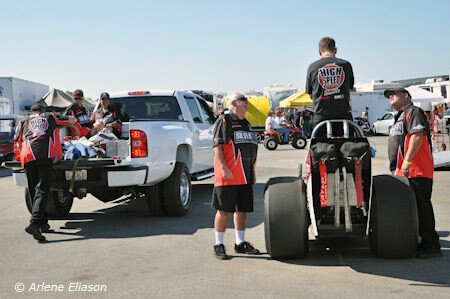 With only 14 cars in the top fuel pits everyone would make the show but the serious ones wanted to get dialed in quick and be on the top half of the ladder. 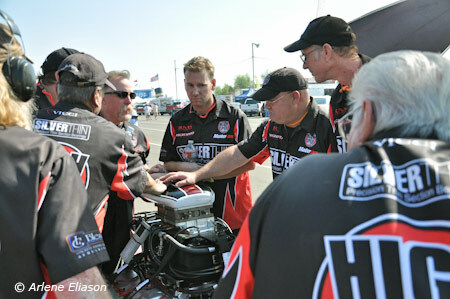 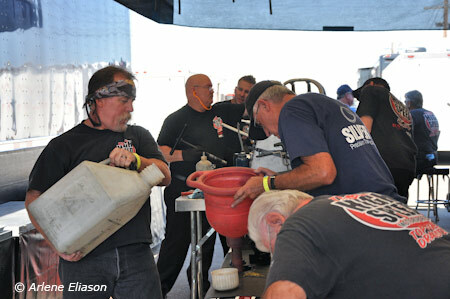 So, there was a lot of careful prep time in the HSMS pit before the first session. 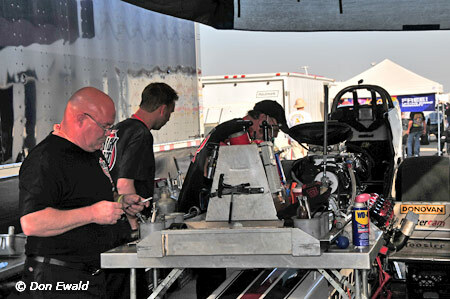 With Team Manager and tuner Tom Shelar not due back in states until Saturday, the engine duties were left to Sean Bellemeur and Rick Shelar. 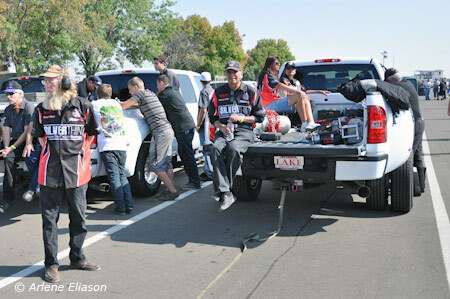 They were already into in on Thursday. 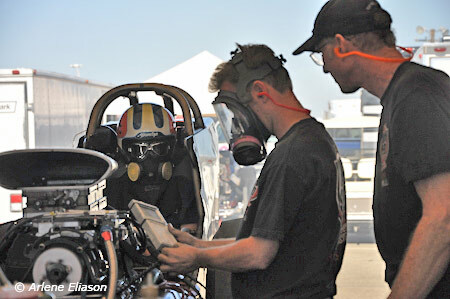 A warm up to make sure there we no obvious mechanical issues. 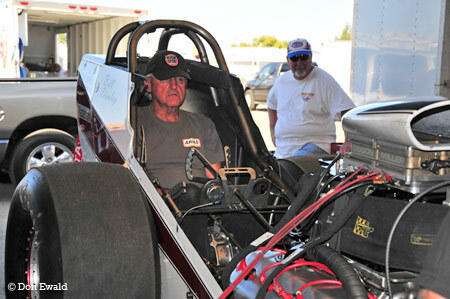 Driver Bill Dunlap in the seat. 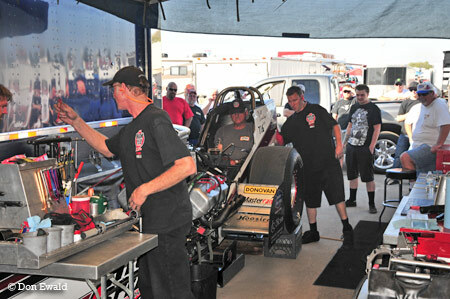 Warm-up prior to the first qualifying session on Friday. 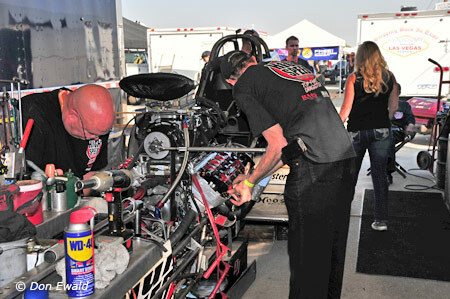 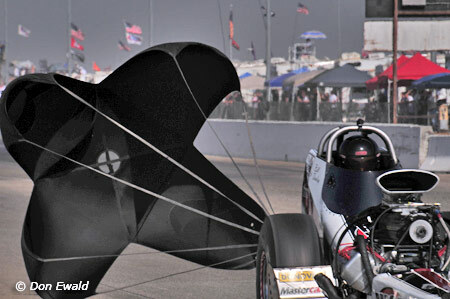 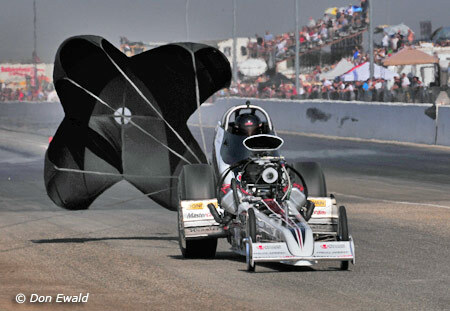 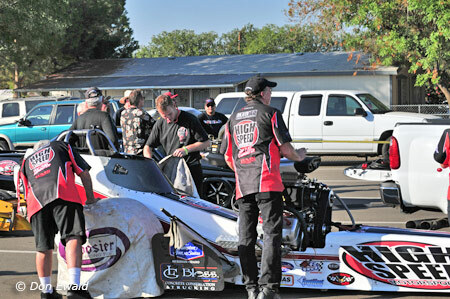 With heat in the engine, more nitro was added for the first qualifying session. 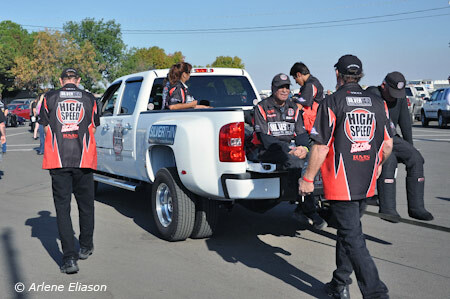 Ready to head to the staging lanes. 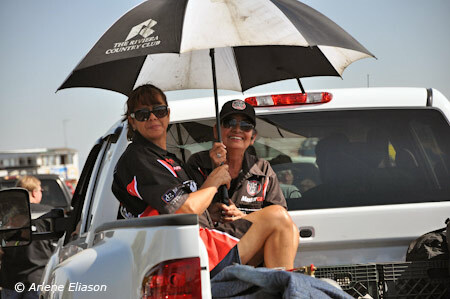 Maria Stevens and Amelia Singh in their spots. 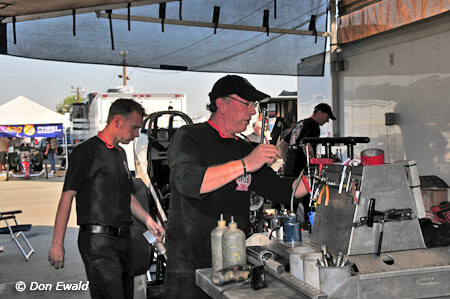 The new guy, Darrell Reid, of Reid Machine. 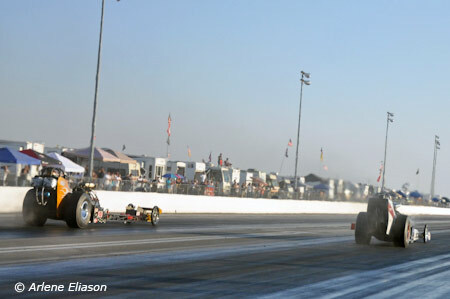 He does the top end right side. 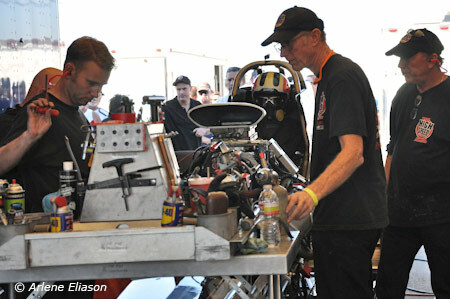 Brings lots of valve train expertise to the team. 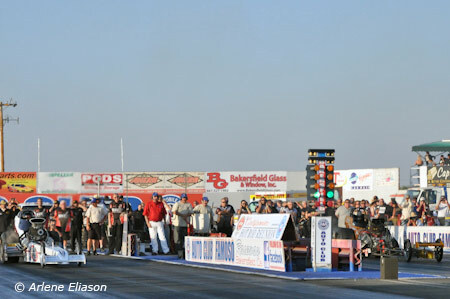 Fast forward 15 minutes and it was showtime. 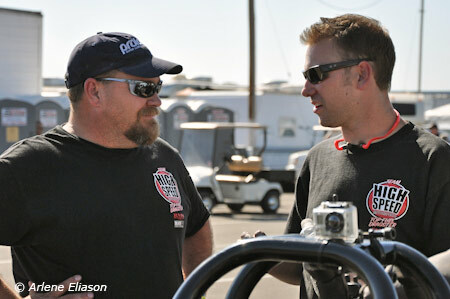 Dunlap was paired with Jim Murphy. 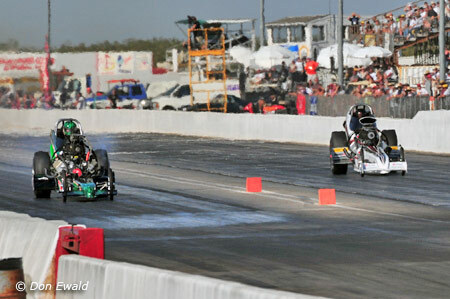 Both did their burnouts together. 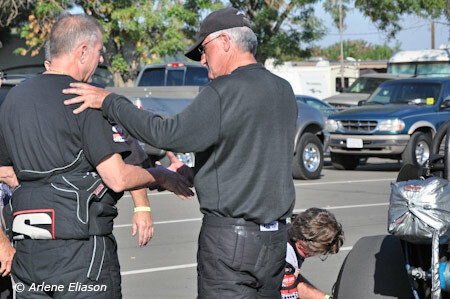 Walt Stevens backing Dunlap up in his tracks. 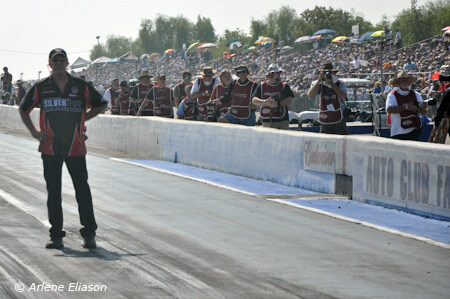 Murphy made a great baseline pass of 5.792 at 226.01. 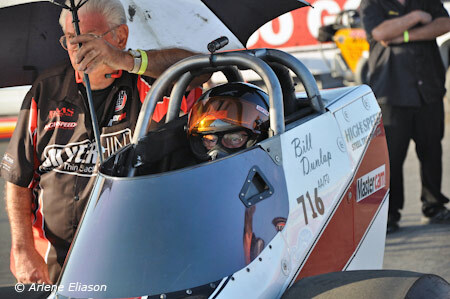 Dunlap clicked it early, as planned, to a 6.134 at 200.08. 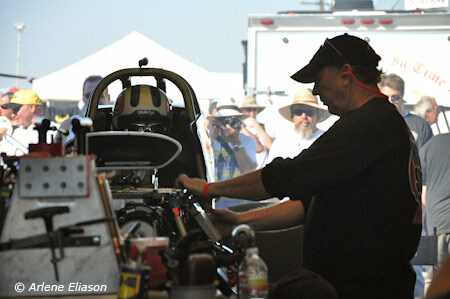 Sean had done his job which would give Shelar data to tune for the second session. 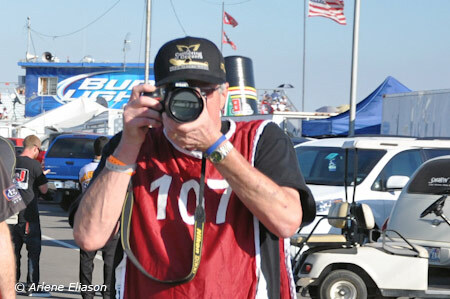 Tom was back from vacation and ready for some action. 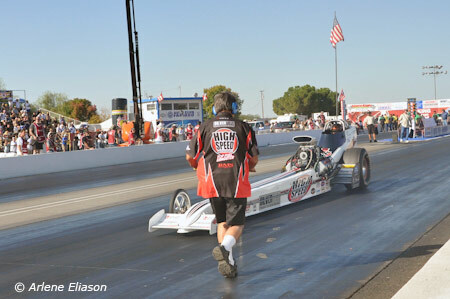 Tom Shelar guides Dunlap up to the water box. 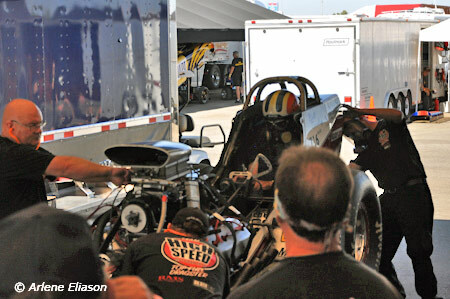 For the second and final session Dunlap was paired with Tony Bartone. 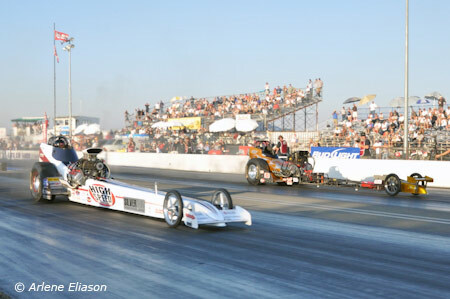 Both cars had solid early numbers. 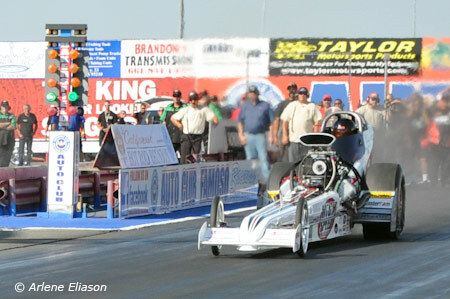 Bartone stopped the clocks with a 5.857 at 251.53 while Dunlap improved with a 5.968 at 237.59. 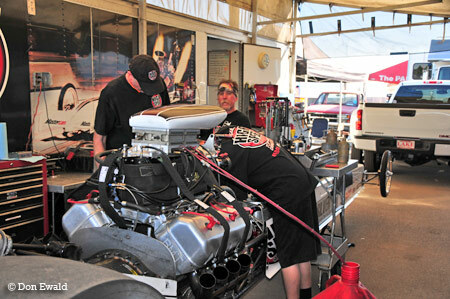 After doing basic maintenance on the engine, the car was readied for round one of eliminations. 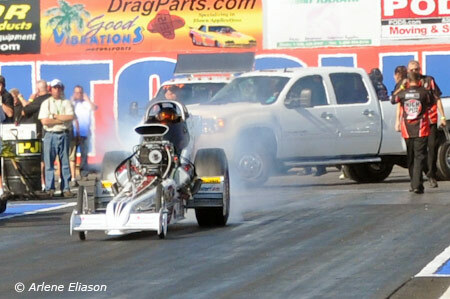 With everything looking good, it was time to race. 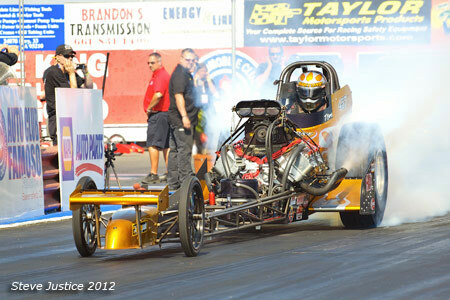 Ironically Dunlap's first round opponent was the guy he just ran against, Tony Bartone. 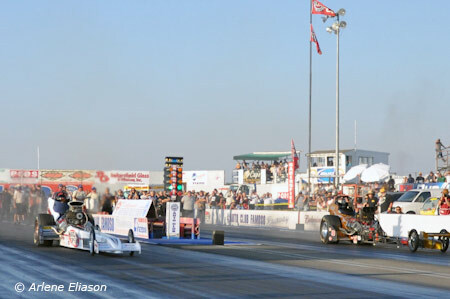 Here the two wish the other a safe race. 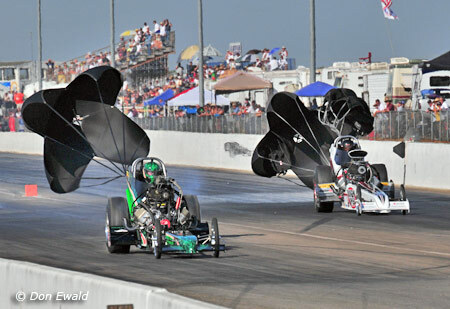 Dunlap drilled Bartone on the tree and proceeded to pull away from the east coast invader. 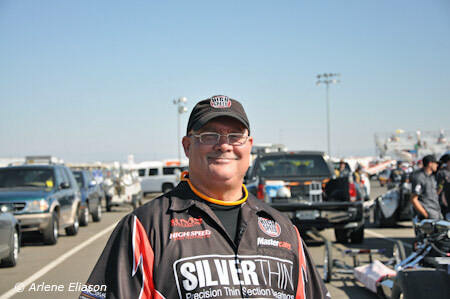 Still a car length ahead at the 330' mark Dunlap was all smiles until his head hit the dash board. 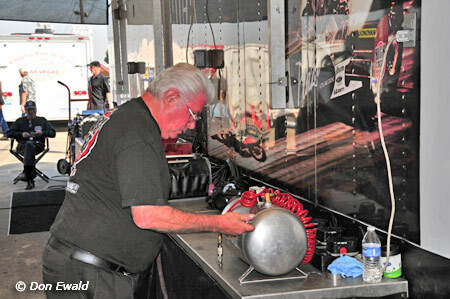 The car, arguably on one of its best runs ever, tossed a rod just before half track and all Bill could do is watch Bartone motor on by. 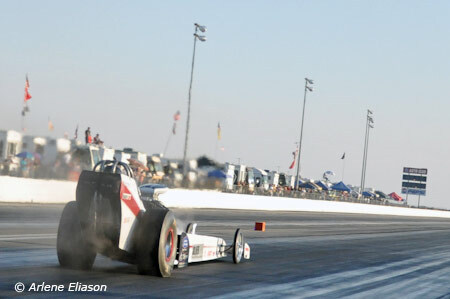 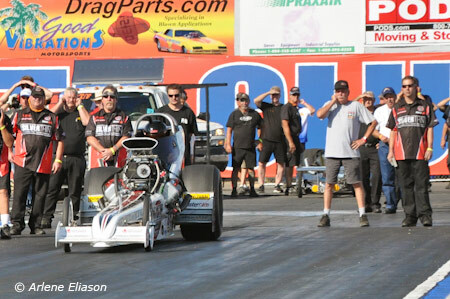 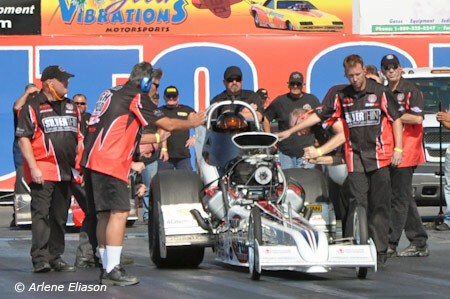 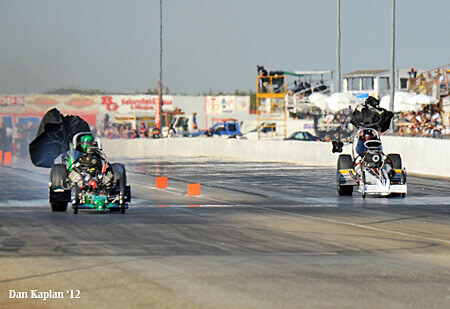 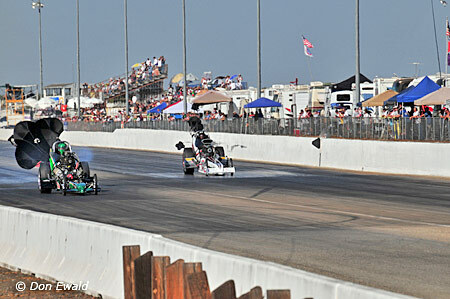 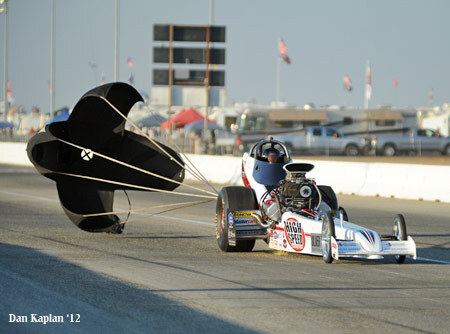 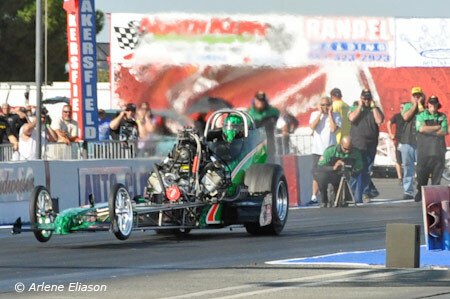 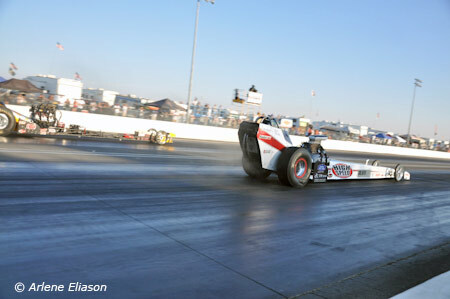 Bartone took the win with a 5.861 at a huge 264.39 mph. 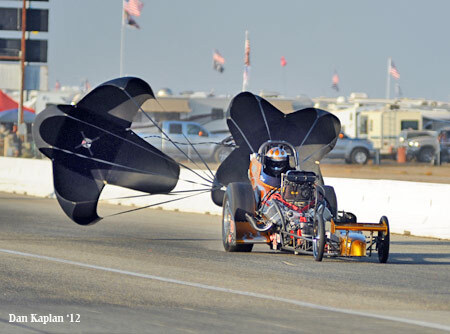 And so ended the 2012 season. 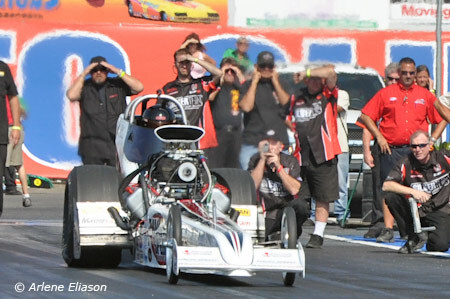 It was a shame to lose due to human error but mistakes happen and only bring light to areas that need to be double, triple checked. 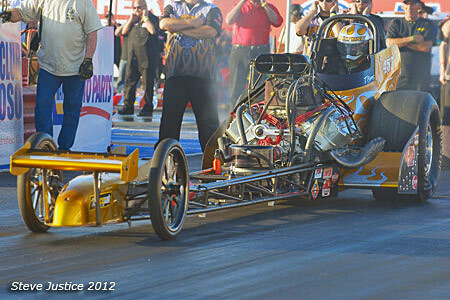 Shelar feels he has a tune up that he can really work with and is looking forward to proving it at the 2013 March Meet. 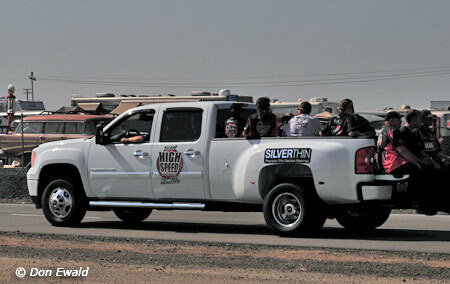 HSMS would like to give their heartfelt thanks to all their sponsors... those who make this possible. 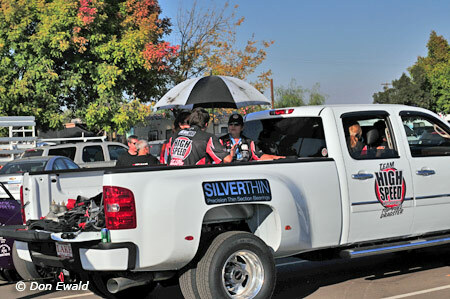 Thanks to all the fans who have made this year special. 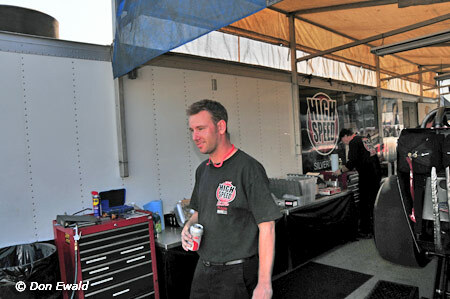 And thanks to the guys who serve as our volunteer crew. 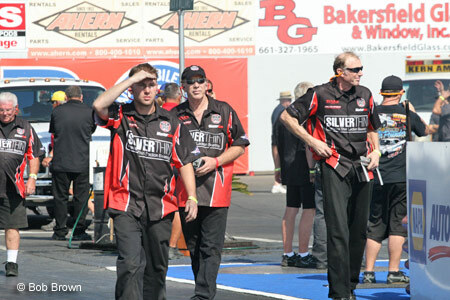 See everyone next year.